“If there is no quality what is our work then!” states Ms. Subha Jha, RMNCH+A Counselor at the Sherghati Sub-Divisional Hospital (SDH), a facility that has vowed to put quality at the forefront in the provision of family planning services. Female sterilization remains the most preferred choice of family planning for women in India with about 4 million women opting for this method every year (HMIS 2015) . The need for quality in these services, therefore, can never be undermined. The Ministry of Health and Family Welfare, Government of India, put quality center stage with the launch of the Fixed Day Static service approach for sterilization services in 2008. This was envisaged to assure services throughout the year, on a regular and routine basis, provided by trained service providers posted in the facility. Additionally, to ensure quality, the government laid a cap of 30 cases of sterilization to be provided by a trained provider in one day. But a problem often arose. Hundreds of women would turn up at the healthcare facilities on the fixed days seeking sterilization services. 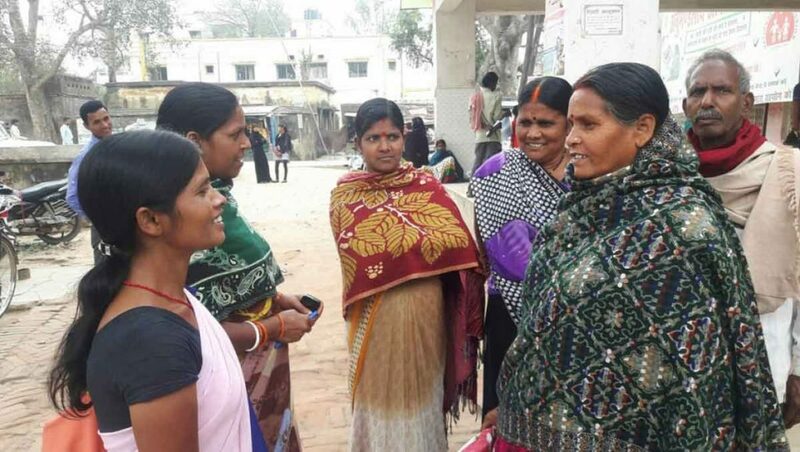 “We used to announce the day when the services would be provided, but it would all become haphazard and extremely chaotic with the influx of women,” said Mr. Rakesh Ranjan, Block Manager of Gaya district in Bihar, a state that accounts for close to 15% of the country’s sterilization numbers. The solution was “pre-registration”— line listing clients seeking sterilization services, evening out the number of female sterilization services being conducted by service providers on fixed days. This innovation was achieved with technical assistance from Jhpiego which, with support from The David and Lucile Packard Foundation, has been assisting the Government of Bihar since 2011 to improve the reproductive health outcomes of women and their families in the state. The project, now in its fourth phase, aims to address the unmet need for family planning, particularly during the postpartum period, thereby empowering women and couples in India to fulfill their reproductive health wishes. The pre-registration trainings have not only oriented the different cadres of the healthcare system on the process of Pre- registration but have also made the providers and the facility administration more sensitive towards quality. Dr. Amit Kumar, a provider working at the SDH Sherghati in Gaya district for the past three years was one of the providers trained by Jhpiego. “Earlier we didn’t even know where to put the patient before and post the surgery or how many instruments needed to be sterilized or the adequate amount of staff required for the surgery. The biggest problem was arranging for beds for women who had gotten sterilized. We had insufficient space and way too many women”, he said and added, “Now, with a roster ready before hand, we know exactly how many women will be expected, which helps us to plan better”. “With the inclusion of the Accredited Social Health Activists (ASHAs) in the pre- registration process, the link between the community and the facility has grown stronger. The women are told beforehand the date when the surgery would be conducted and the preparations she needs to make. The women seeking sterilization are accompanied by the ASHA worker on the day of the surgery and are facilitated by her throughout the process. This has ensured optimum linkage between the community and the facility easing out the process for all involved —the client, the ASHA, the provider and the facility. She further adds, “The woman is more relaxed because she doesn’t have to wait and she can also get a bed post her operation, the doctor can also prepare in advance and it’s extremely beneficial for us also. We now know exactly how many women got a sterilization done, how many didn’t turn up and how many need to be counselled again”. So far, around 120 health staff including administrators, managers and almost 12000 ASHA workers have been oriented on the pre-registration process with 21708 clients having been pre-registered. This simple process of pre-registration is helping prioritize quality at every level, ensuring that the woman seeking a family planning service is provided the same with care and the respect she deserves. Counselor Subha sums it up well, “Our job is not just to get a female sterilization done; it is to make sure the woman is satisfied with the method. Our job is to ensure she goes back as healthy as she came in”.